The Journal of Agriculture and Food Chemistry has made claims that a drink of coffee contains around 1g of soluble fibre per cup. This is a positive piece of news for coffee drinkers as this is the type of fibre that helps lower bad cholesterol levels. This information might make you wonder how a liquid drink can possibly contain fibre, but most people won’t worry about that in favour of this new intelligence. Coffee has long been linked to a number of benefits that are related to good health. This type of dietary fibre naturally dissolves in water and the parts that help prevent cholesterol are absorbed by the intestines and are more efficient than wine or orange juice. 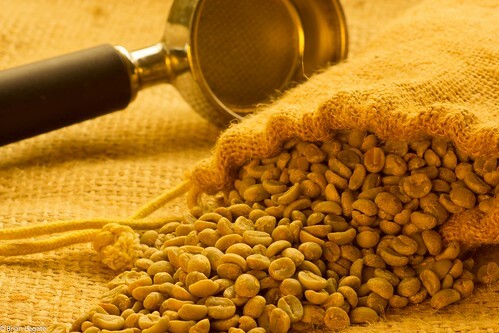 But wait – if you are considering getting your dietary fibre needs just from coffee, it won’t work. You would need to consume about 17 cups of instant coffee to reach the recommended daily intake of around 31g. This amount of dietary fibre is based upon the standard 2000 calorie daily diet. Researchers from Harvard University linked nine separate studies involving almost 200,000 people while looking into a range of information about diabetes. Initially they found that regular coffee drinkers carried a much lower risk of getting type II diabetes than those who avoided coffee. The report went further to suggest that the more coffee people drink, then the lower the risk. The American Journal of Clinical Nutrition has carried out a study which reports that healthy people over the age of 65 who drink at least 4 cups of caffeinated coffee a day showed a more than 53% lower risk of sustaining a heart disease, compared to non-coffee drinkers. The Harvard School of Public Health has issued information that suggests that any effects which temporarily raise the heart rate and blood pressure which make cells more resistant to insulin after drinking coffee are temporary because people develop a long-term tolerance. They go on to propose that after long and varied coffee tests, over the longer term, people who drink coffee more regularly will experience longer lasting effects for the benefit of their health. Despite all of the research around coffee, the studies haven’t completely identified any of the necessary cause and effects relationships. Chlorogenic acid, which is closely related to polyphenols in grapes, acts as an antioxidant. As one of the top sources of antioxidants in a person’s diet, an equivalent single serving of coffee has more antioxidants than blueberries. They help suppress inflammation which will probably explain why coffee has had such a great effect in diseases like diabetes and heart disease which are inflammation related. There is a belief that cells are much more sensitive against insulin because of the amount of magnesium in coffee. Caffeine has long been known to have an entire range of favourable effects. In particular, diabetes studies found a benefit to caffeine coffee drinkers over decaf for reducing the risk of diabetes. One part of the report suggests that you might need to move from decaf to full caffeinated coffee drinking because there is evidence of a much reduced risk of gallstones, cirrhosis, Parkinson’s disease and liver cancer. Nevertheless, experts are not suggesting that people start drinking caffeinated coffee to prevent disease. New mothers, in particular, should be aware that caffeine can pass into breast milk and you wouldn’t want your young children being awake anymore than they usually are during the first two years of their lives as their time sleep is the mother’s time to rest. Harvard is quite clear that for most people, there is no reason to change their coffee drinking practices and there is certainly no reason whatsoever to cut back or refuse coffee altogether. Damien Higgins writes for Eden Springs who supply business coffee machines.